Dressing is one of those sides that is always on our Thanksgiving table. Our Thanksgiving meal always consisted of this savory sage dressing. When I think of Thanksgiving, this is one of the smells that comes to my mind instantly. 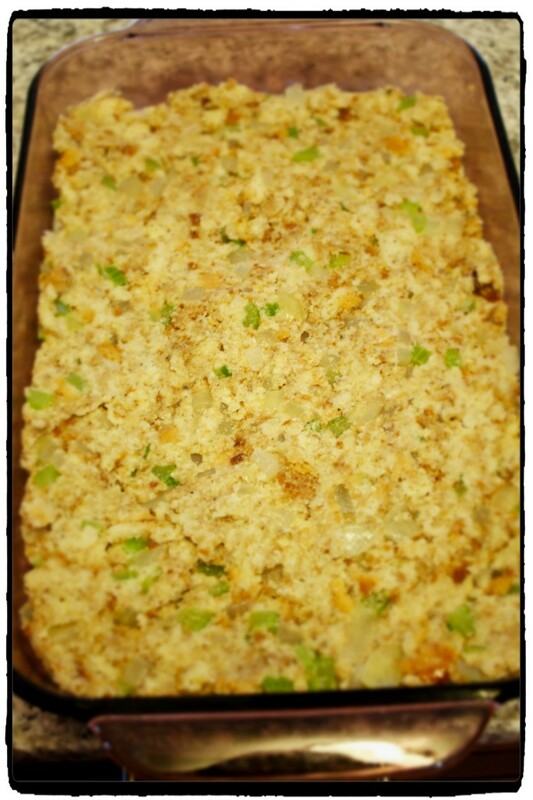 It is an herbed bread dressing versus a cornbread variety. As the years have gone by, the amount of sage I put in the dressing varies depending on my mood. Sage is a very strong spice, so please start with a little and then if you need, add some more. This recipe is really simple and takes very little time to make and get on the table. You start by dicing up some onion and celery. 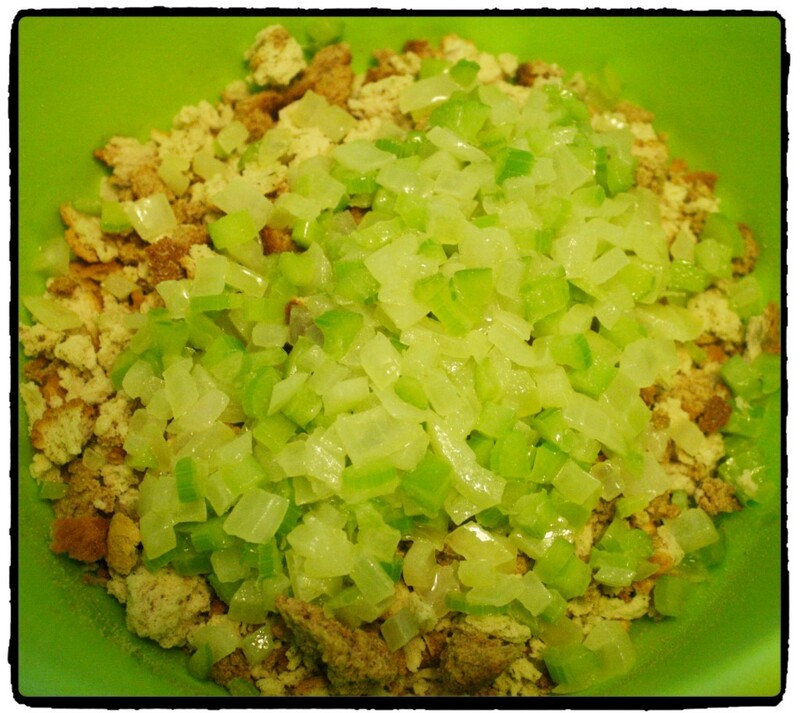 I saute the onion and celery in butter until they are softened. 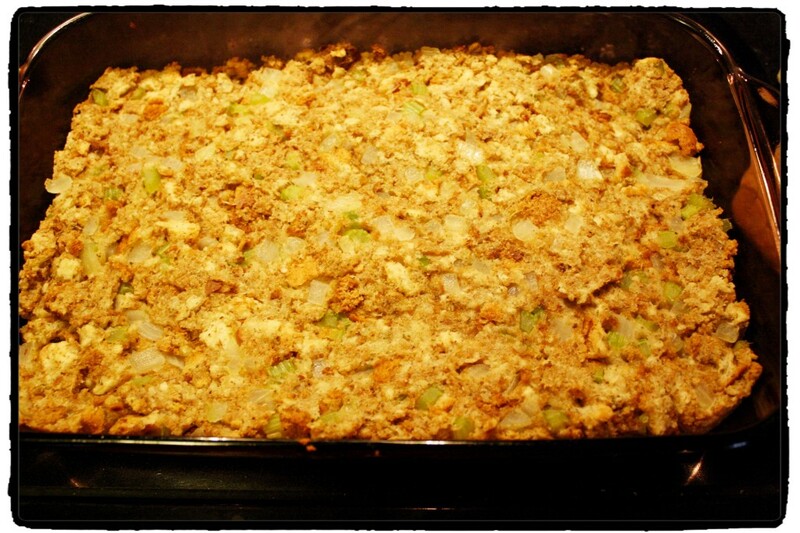 Add the celery and onion to the package of Pepperidge Farm Herbed Stuffing mix. I then add in my chicken broth and my sage. Stir well to make sure all the ingredients are moistened. At this point, you can either try a bit to see if you need more sage or go on smell. I tend to go on smell. Place the mixture in a greased casserole dish. Bake at 350˚ for approximately 30 minutes. I have never placed the dressing inside of the turkey and prepared it that way, if that is the way you normally prepare, follow the directions on the back of the Pepperidge Farm bag for stuffing in the bird. 1. Chop and dice the celery and onion. 2. Melt 2 Tbsp of butter in a saute pan. 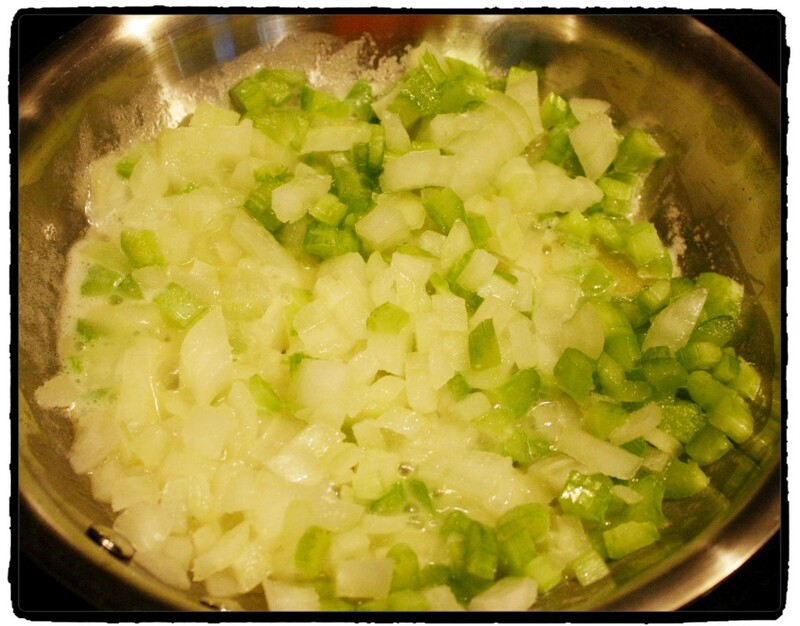 Saute the onion and celery until softened. 3. 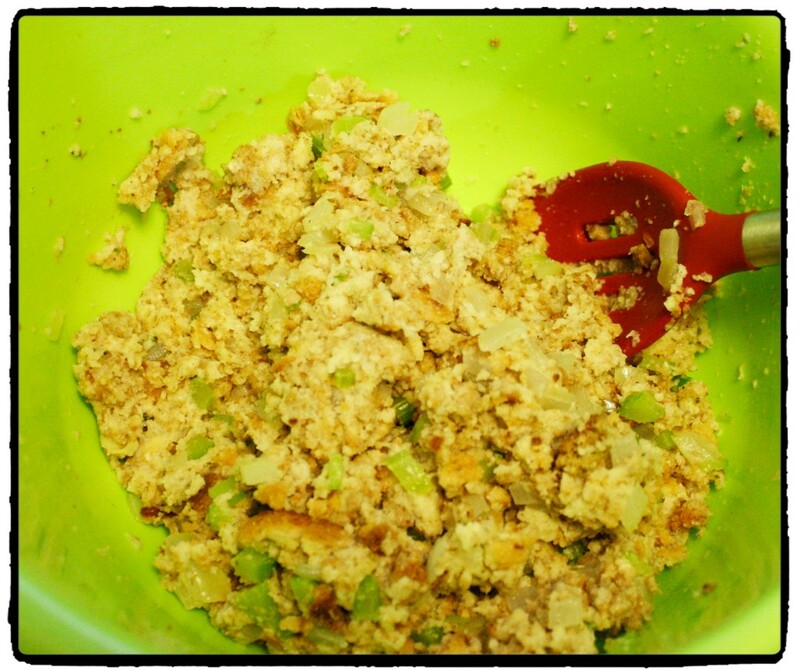 Combine in a bowl the stuffing mix, celery/onion, and chicken broth. 4. Add the sage. Add more depending on how strong you want the sage taste. 6. Place in a greased casserole dish. 7. Bake at 350˚ for 30 minutes. *To make a larger size, double all ingredients. This looks so GOOD! I’m pinning this recipe and trying it this week! FYI: Iron Chef Michael Symon says never to put the stuffing INSIDE of the turkey, b/c then the stuffing gets all the moisture, and the turkey will be dry. So you’re a genius! This is pretty much the one we make every year and I can’t get enough of it! I love sage, this side dish sounds delicious! Thanks for linking up to Sweet and Savoury Sunday, stop by and link up again. Have a great day! !